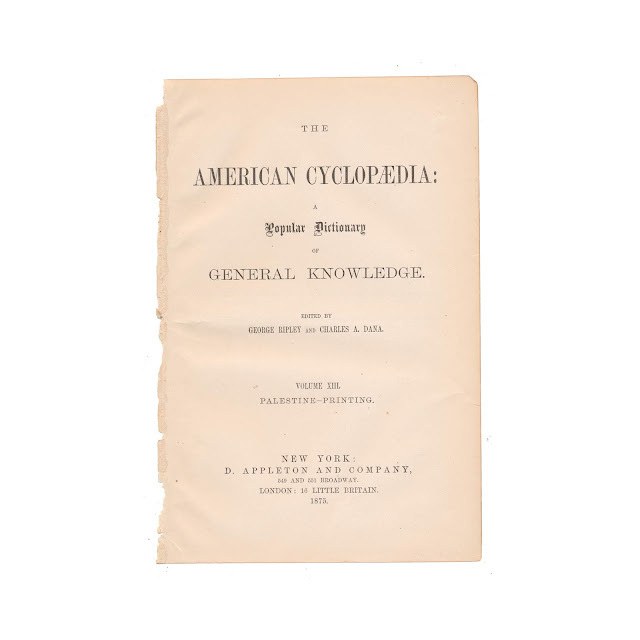 The New American Cyclopædia was an encyclopedia created and published by D. Appleton & Company of New York in 16 volumes, which initially appeared between 1858 and 1863. Its primary editors were George Ripley and Charles Anderson Dana. The New American Cyclopædia was revised and republished as the American Cyclopædia in 1873. 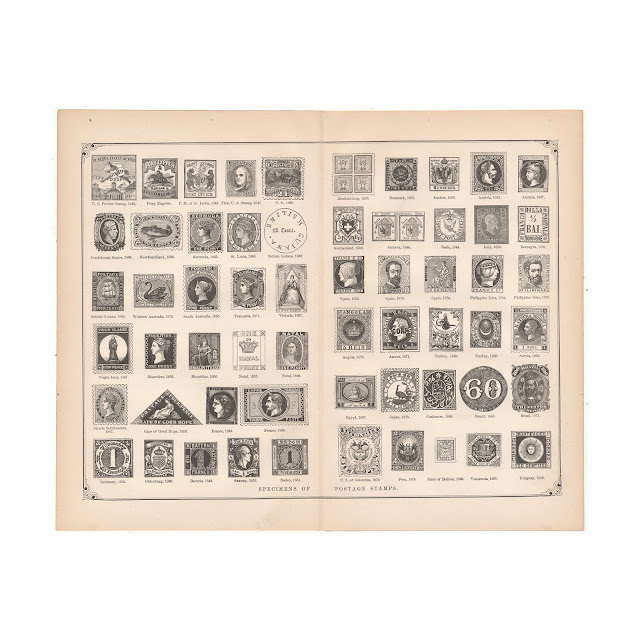 This print of the world's postage stamps comes from Volume 13 of the 1875 edition and is approximately 9.5 inches by 12 inches. Paper is generally clean and crisp with little wear, but shows some browning. Center crease. Title page included for reference purposes and is not included.